If you’re unhappy with your smile, it’s never too late to make it better with braces. 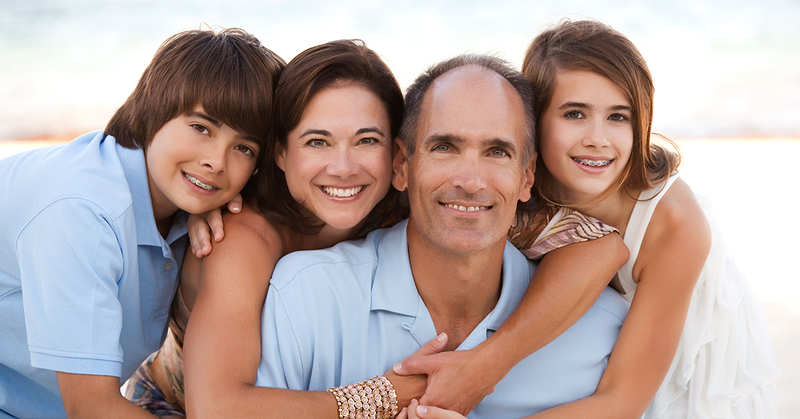 Braces have gone beyond the teen years, and about one million Americans over the age of 18 wear braces. To discover if affordable braces can put a better smile on your face, talk to your general dentist, but first learn more about the choices and costs. If you never received orthodontic treatment as a child and have dental problems that you’d like to correct, then braces may be the answer. By getting braces, you can avoid many problems such as tooth decay, gum disease, speaking problems, headaches, and more. And with so many adults wearing braces today, you can feel completely comfortable and confident while going through your treatment. But if you’re still self-conscious, new advances have made braces much smaller and less noticeable than ever. In addition to traditional metal, you can now get ceramic braces that are tooth-colored, lingual braces placed behind the teeth, and even invisible braces. You dentist will discuss your options based on your health, your needs, and your budget. Now that you know the facts, you’re probably wondering, how much do braces cost? Well, the cost of braces will depend on the type you choose, your personal needs, and even the city where you receive treatment. Some dental insurance may cover the braces cost, but if you lack insurance or need more assistance, there are two smart and simple solutions to have affordable braces. Luckily, you no longer have to be concerned about how much braces cost. One financial option is called CareCredit, which is not insurance, but simply a credit card that allows you to finance healthcare treatment. It offers special financing options not available with other credit cards, along with convenient monthly payments, and acceptance by more than 175,000 providers nationwide. Another solution is DentRite®, which is also not a form of insurance, but a dental savings plan that provides big savings on dental procedures. It offers unlimited usage, membership options for individuals and families, and acceptance for everyone. These options allow you to get affordable braces for a million-dollar smile.